Since buying a home is one of the most important (and expensive) decisions you are likely to make during your lifetime, it’s important to take a step back and examine your reasons for making it before you make a decision to make an offer on a property. You’ll want to make sure that it truly makes sense for you and your lifestyle first. When you buy a property, you are putting down roots in the community. You decorate your home or renovate the property as you see fit; renters don’t have this level of freedom to adapt their unit to suit their taste and needs over time. 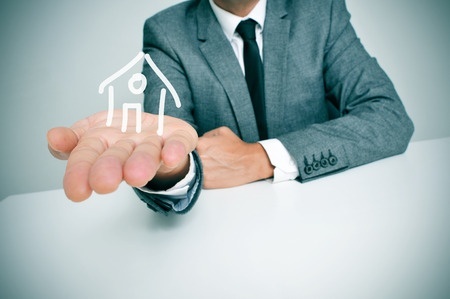 Owning a home can be a good financial investment. As you make mortgage payments, you are building equity in the home. It’s a type of forced savings plan. Renters make regular payments to their landlord without getting any financial benefit in the property. Housing costs remain stable over the term of the mortgage you choose. If you decide to rent, your landlord can increase the amount you pay annually. Buying a home means that your housing costs are locked in for a set time, which makes it easier to budget over the long term. Buying a house can put a strain on your budget. Even if mortgage costs are lower than what you would pay in rent, you will be responsible for utilities, property taxes, and maintenance expenses on the property. If you are a tenant and something goes wrong on the property, the landlord is responsible for paying for repair costs. You will not have the freedom to move after giving your notice to your landlord in the same manner as if you were renting a space to live in. To be free of your obligation as a homeowner, you will have to sell the property. Time away from work will need to be spent maintaining the property. Part of being a responsible homeowner means keeping the property in good repair. Unless you decide to move into a condo where these chores will be looked after for you (and you will be paying a monthly fee to pay for it), you will be responsible for moving your lawn, caring for any wood fencing, sheds, or decking in your yard, and shoveling snow in the winter. If you have decided that home ownership is for you, get expert advice from an experienced professional realtor to find the right property for your needs. Call Bonnie and Daniel Wan today to start the process of finding the right home in the Richmond Hill area. This entry was posted in Buying and tagged Home Buying, Homeowner, Homeownership, real estate, Real Estate Agent, Realtor, Realty. Bookmark the permalink.